Dr. Rumina Hasan (MBBS, PhD, FRCPath) completed her undergraduate and postgraduate training from London University, UK. 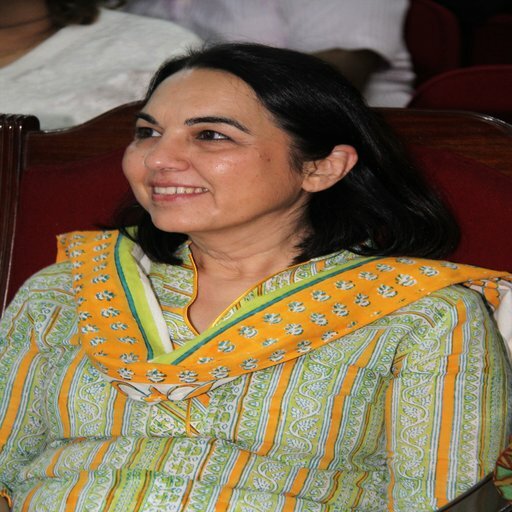 She is currently The Abdulaziz Hussainali Shariff Professor at Aga Khan University (AKU) Karachi and Honorary Professor at the London School of Hygiene and Tropical Medicine (LSHTM) UK. She is also a Fellow of the Pakistan Academy of Sciences. Dr. Hasan served as Chairperson Department Pathology and Microbiology, AKU (2004-2010) the Lab is JCIA and ISO Certified, under International Quality and Biological Safety standards, and is now preparing for CAP accreditation to maintain acknowledgement for the same. Numerous Biosafety Workshop and Seminar have been conducted under her able guidance to create awareness among health care workers and researchers in various provinces of Pakistan. Core Group of the Global Laboratory Initiative (GLI), Stop-TB Partnership, World Health Organisation (WHO). She is the current GLI Vice-Chair. Regional Green Light Committee for management of Multidrug resistant tuberculosis, WHO Eastern Mediterranean Region. Country Coordinating Mechanism Pakistan for overseeing implementation of the Global Fund grant. Dr. Hasan has been the recipient of a number of research grants. Her research has focused on investigating extent and risk factors for drug resistant tuberculosis in Pakistan. She further conducted baseline studies determining M.tuberculosis genogroups prevalent in Pakistan and exploring relationship of strain-types with drug resistance and pathogenesis. She serves on the editorial and review board of a number of national and international journals. Dr. Hasan helped develop the clinical microbiology laboratory at AKU and set up TB diagnostic laboratory which has been designated as a WHO Supranational Reference Laboratory for tuberculosis. She is a founder and life member for Pakistan Biological Safety Association, and was elected PBSA President in 2013-2015.